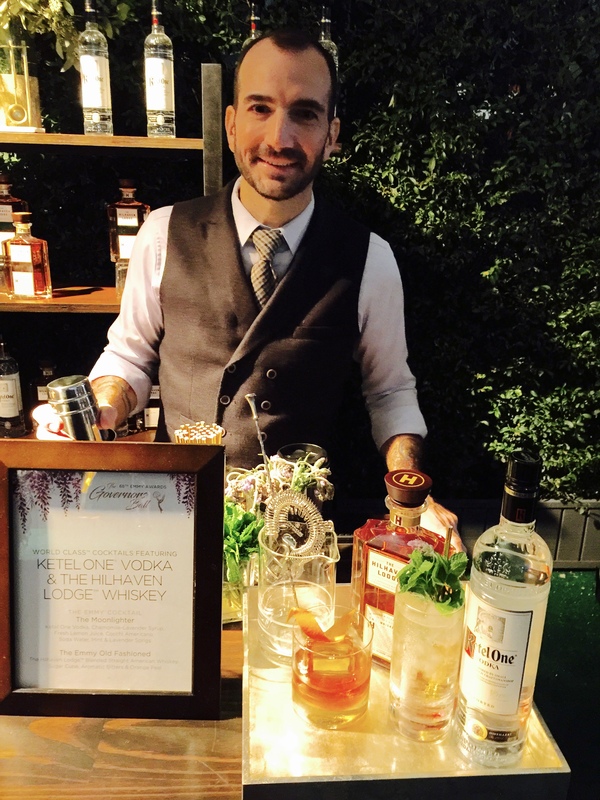 During the 68th Emmy Award Governor’s Ball, the dashing Charles Joly, award-winning bartender of World Class Spirits made two craft cocktails for the special celebratory party. The nominees and winners first sipped a Ketel One Moonlighter and The Emmys Old Fashioned. The Television Academy presented me with recipe cards to make both drinks at home. Here are the ingredients to make your own award winning cocktail to sip in front of the television, while watching the Emmys Award show. The Ketel One Moonlighter created by Mixologist Charles Joly is a simple, yet elegant cocktail, ideal for a toast to a special occasion. Mildly effervescent, crystal clear and delicately floral, due to the lavender. For 325 years, Kettle One Vodka has been made by the Nolet family in Schiedam, Holland. It’s produced by European winter wheat and offers a sophisticated flavor profile and crisp finish. 3/4 oz Chamomile-lavender syrup (Brew 1 cup of strong chamomile and lavender tea. Remove the tea bags. Measure the brewed tea with equal volume of sugar until dissolved. Chill before using. Add mint and lavender springs for garnish. 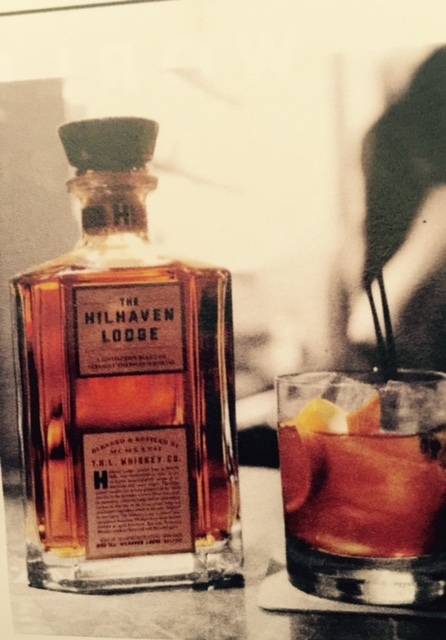 Joly’s second drink is the Emmys Old Fashioned made with The Hilhaven Lodge blended Straight American Whiskey, sugar cube, dashes of aromatic bitters and orange peel. In Beverly Hills, Hillhaven Lodge was established in 1927 as an exclusive entertainment escape for a real estate mogul. For 8o years, Hilhaven Lodge was a posh Hollywood elite playground. The home was passed down from one generation to another. Today, Hollywood Director Brett Ratner owns The Hilhaven Lodge. In collaboration with spirits company Diagaeo have developed this new-to-world whiskey. It’s a distinctive blend of three different whiskeys – Bourbon, Tennessee Whiskey and Tye Whiskey offering a smooth tasting experience. Cocktail Inspiration – This classic cocktail offers a rich, complexity of the whiskey to shine through, and still retains a delicious and smooth finish. Sit back, close your eyes and enjoy!